mkPhoto » Blog Archive » “Just ask mike & jeff” Education Opportunities at mkphoto! « Maddie Senior pics Funky and FUN!!! 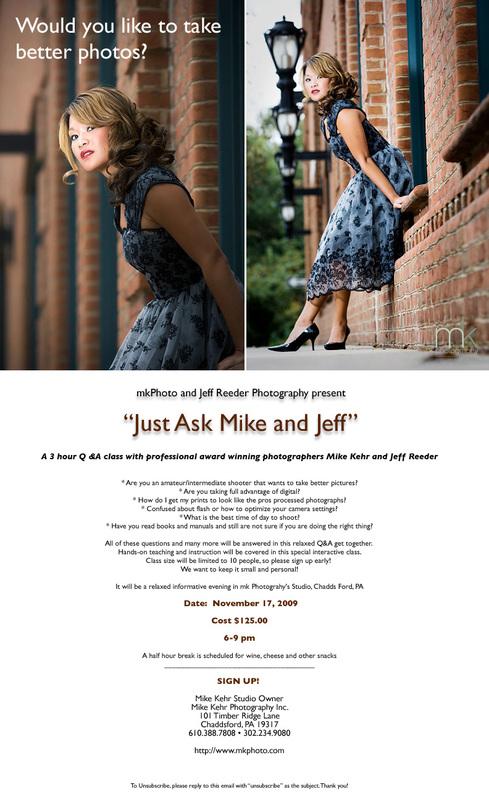 “Just ask mike & jeff” Education Opportunities at mkphoto! Don’t Miss Out! ONLY 4 seats left! This entry was posted on Wednesday, November 4th, 2009 at 4:38 pm	and is filed under Education. You can follow any responses to this entry through the RSS 2.0 feed. Both comments and pings are currently closed.